Blue Jays are so common throughout the eastern and central United States and southern Canada that I tend to forget that not everyone is familiar with them. The Audubon site is a rich source of information about the history, behavior, and many varied calls of this showy and raucous bird. Blue Jays are known to be bold, boisterous – and quite noisy. I saw this one the other day in the cypress forest and he looked so quiet and thoughtful that I just had to share his photo. 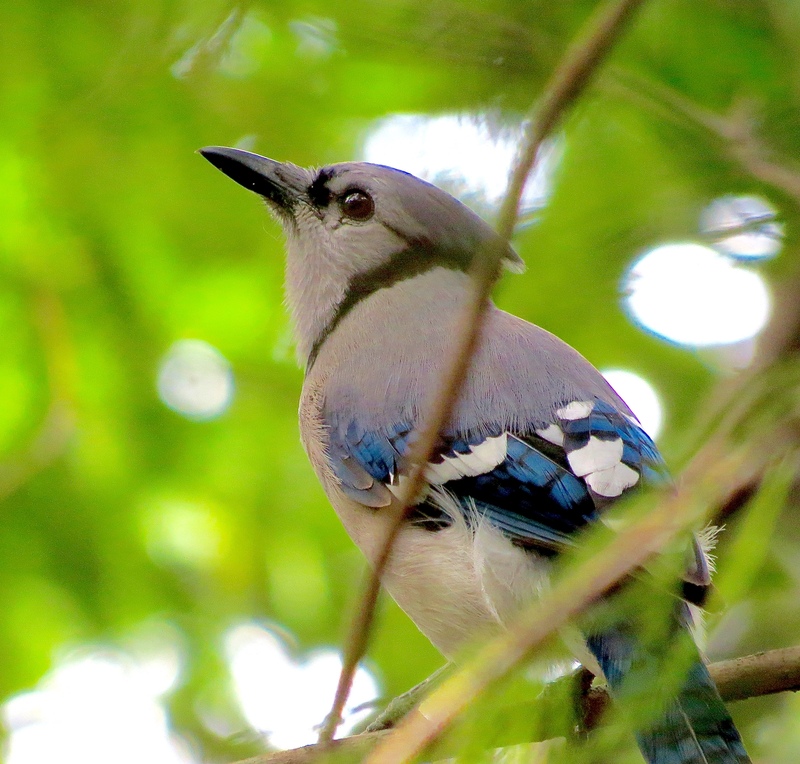 This entry was posted in Birds, Marsh/Wetlands and tagged Blue Jay. Bookmark the permalink. This is a beautiful photo. Thanks for the info about the feathers. Thank you for your visit, Barbara! Very nice capture. Love the expression on its face. Glad you liked it, Tiny! That expression really struck me, too. I’m so happy that you enjoyed it, Amy. He ( she??) looked so peaceful, gazing off through the trees. I get them in my garden, even nesting here. You are right, noisy! Seeing a pensive one is unusual.